Visual inspiration to get you on a plane to "The Last Shangri-la"
You might have read or heard about Bhutan in passing and wondered “where is that country?” It is a predominantly Buddhist Kingdom perched high in the Himalayas and is often referred to as “The Last Shangri-la”. In addition to its beautiful landscape, stunning monasteries and unique culture, Bhutan is also known for developing the philosophy of Gross National Happiness. The idea is to gauge the country’s development by measuring its citizens’ well-being, not just economic success and gross domestic product. Tourism to Bhutan is growing and it’s not difficult to understand why. Although the country is open to foreign tourists, all tourists must travel on a guided tour operated by a licensed tourist company and cannot travel independently in the kingdom. Bhutan is also well known for its array of colourful and grand religious festivals throughout the year: they draw big crowds of both local and tourists and it is believed that everyone must attend a “Tshechu” and watch the mask dances at least once to receive blessings and wash away their sins. Friends of mine who have visited Bhutan are in absolute awe of the country’s architecture, people, food and culture, and I can’t wait for the opportunity to experience it myself! *Update 23 July 2018 – we made it to Bhutan, and it. was. amazing! What is Wanderlust Wednesday? 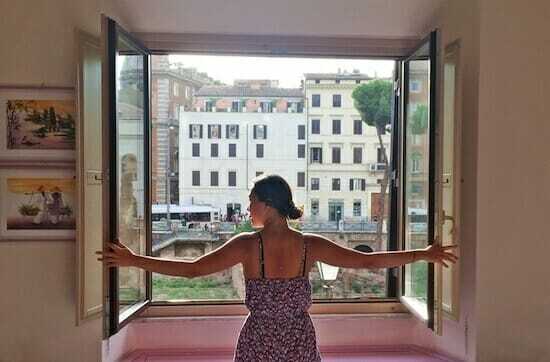 I’m sure every wanderluster out there has a list of places they’re aching to see and experience. Every few weeks on a Wednesday, I curate and post a few photos of the places on my travel bucket list from talented Instagrammers. Hopefully it will keep me motivated to get to these wondrous places sooner, rather than later, and inspire you to visit these places as well. A big thank you to the Instagrammers below who were kind enough to let me share their photos! I encourage you to take a look at the rest of their Instagram feeds for more stunning shots. The beautiful photo above is from jboots on Pixabay. To see previous Wanderlust Wednesday posts please click here. Have you been to Bhutan before? Tell me all about it in the comments section below – recommendations welcome! Breathtaking photos! I hope to visit someday. And what a beautiful philosophy of Gross National Happiness! I hope that philosophy spreads. ? The photos on Instagram are seriously making me want to book my trip RIGHT NOW! Wow, these photos are quite something! I must admit I have never done much research into Bhutan – but the architecture is exquisite! It’s hard to comprehend what kind of effort must have been made to construct these buildings on such steep hills. Incredible work. Absolute incredible – Bhutan is also home to lots of national parks! Doesn’t it sound absolutely amazing? I really hope to make it over soon! I hear the hikes are absolutely spectacular! Thanks for reading, Ava! Ps. Isn’t there a political distress there? Thanks for reading, Melai! 🙂 Are you thinking of Tibet? What a country of vibrant colour! There’s a sense of peace and history about these images, really got my trave lust going~! None of my friends were there and I´ve never imagined it could be that beautiful! I´m in awe : been dreaming of Tibet for a while. Should definitely include Bhutan to my route! 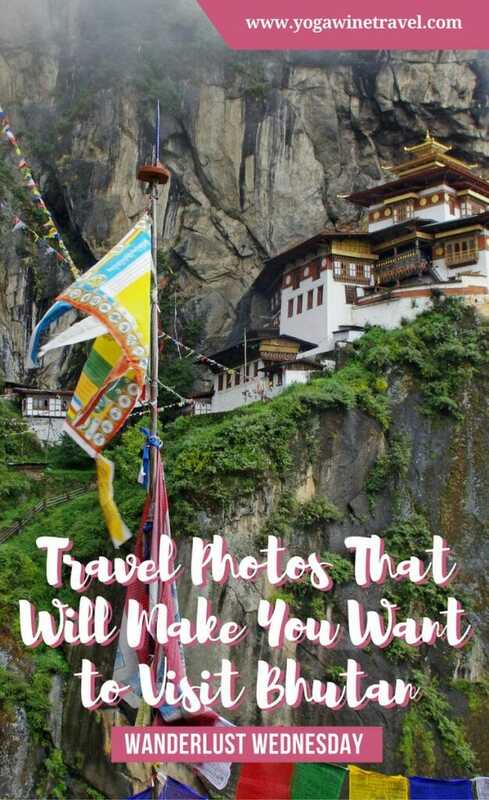 I’ve never been but like you said, the photos sure make me want to visit Bhutan!! So gorgeous!!! Great job picking those photos out, they’re all stunning. Thank you so much for joining #FlyAwayFriday, see you in 2 weeks! Thank you so much for letting me include your beautiful photos Deepika! Such beautiful pictures it looks like such a magical place! Isn’t it just incredible? I’m DYING to visit! Breathtaking photographs 🙂 Loved it. 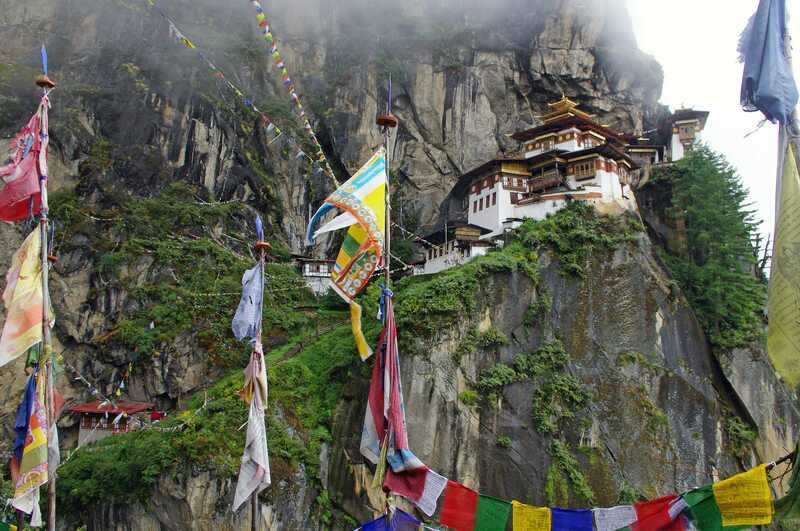 Girl….I’m dying to go to Bhutan!!!! Haha!! Looks so amazing!!! Thank you for sharing the inspo on FlyAwayFriday and can’t wait to see what you share next! Boy oh boy, do we miss Bhutan already! Great write up! I really love this idea of Wanderlust Wednesday! 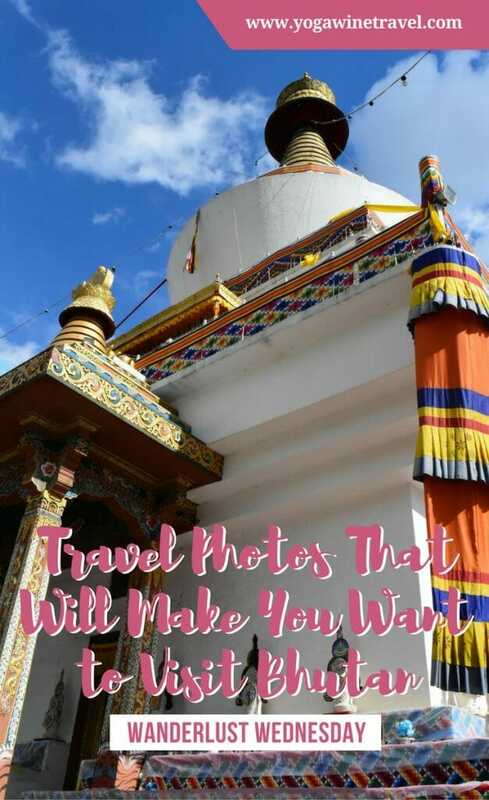 Such a col way to learn more about a place you want to go to and such gorgeous photos you’ve chosen! Ahhh you’ve made me want to go here too!